South Cumbria Musical Festival Sat 30th March 2019 Coronation Hall, Ulverston, 9.30 am. We will be performing three great songs. An Easter Concert Fri 26th April 2019 7.30 pm Abbey Road Baptist Church, Barrow. Special guests Greengate Junior School Choir. All proceeds are for Barrow Food Bank. Tickets £5.00 available from the Food Bank or from Choir members. Refreshments and Raffle. Barrow Indoor Market Sat 18th May 11.00 am. This is a free concert, listen while you shop! 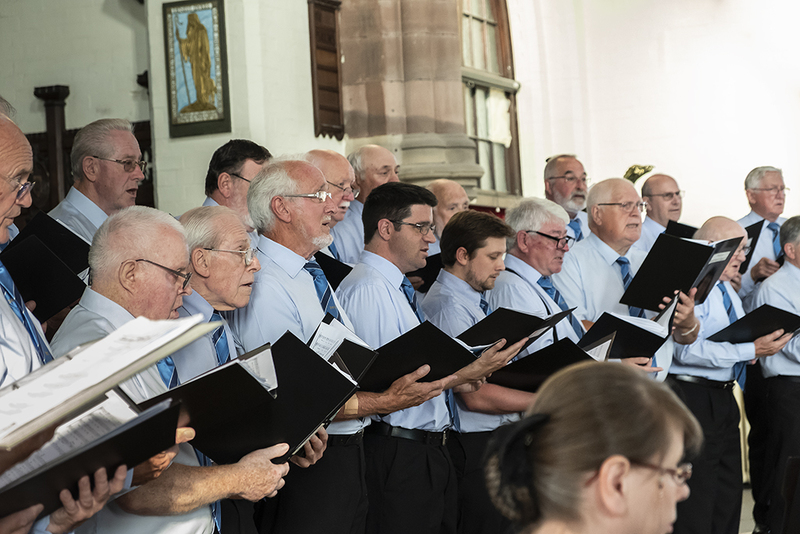 The Choir performing at Barrow Indoor Market on a Saturday morning in March this year. 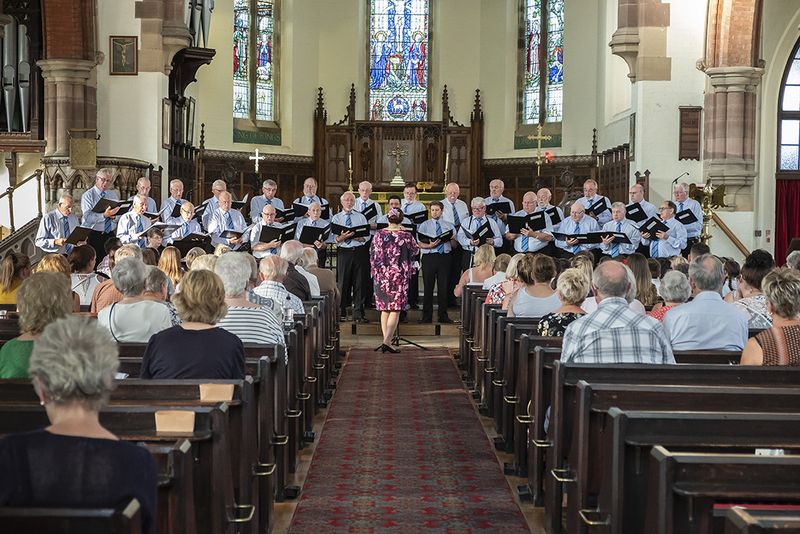 Here we are performing at St James's Church, Barrow during a fundraising concert for Barrow and District Disability Association . On a very fine summer evening we shared the stage with St James's School Choir and raised £800 for this deserving charity. We had a large and appreciative audience despite having competition from a World Cup game featuring England. 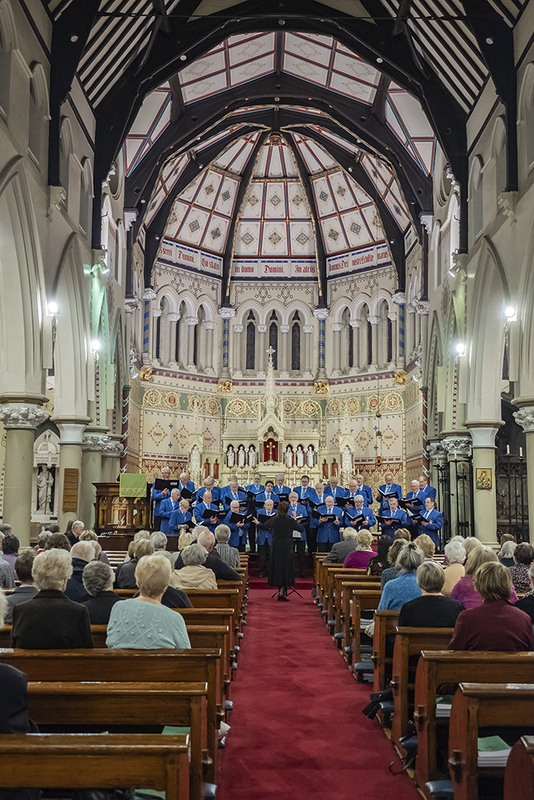 For our Annual Concerts this year we sang a new selection of new music at St Mary's Church, Barrow and at The Victoria Hall, Grange-over-Sands. 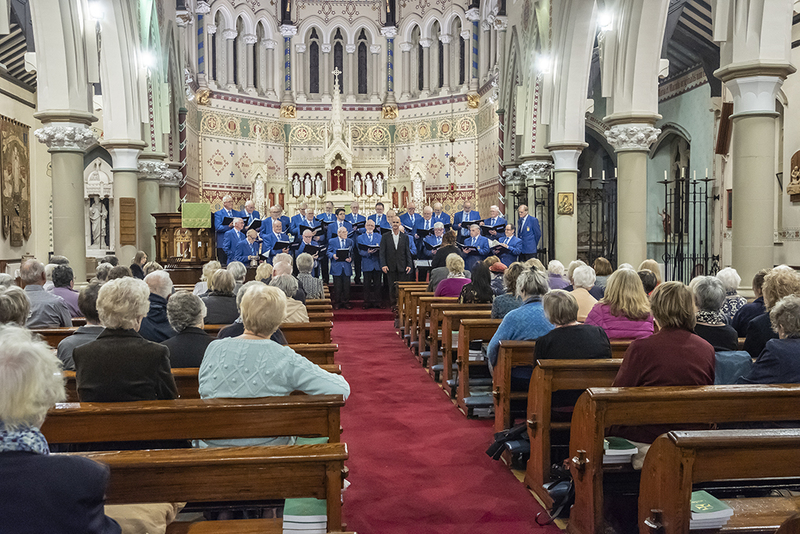 Our concerts featured Tenor Soloist Iain Nicholson. 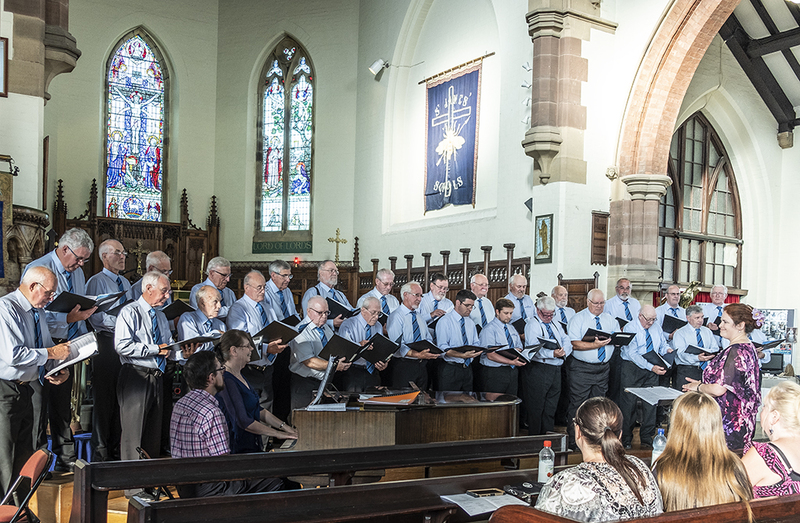 The Choir would like to say A BIG THANK YOU to everyone who came to the Concerts and also to all the local businesses who sponsored us. 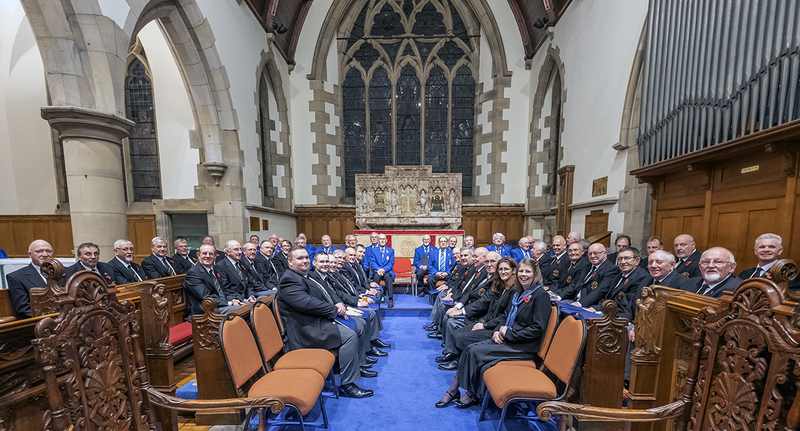 Here we are pictured at St Mary's Church, Barrow with our Musical Director Deborah Milledge and Iain Nicholson . 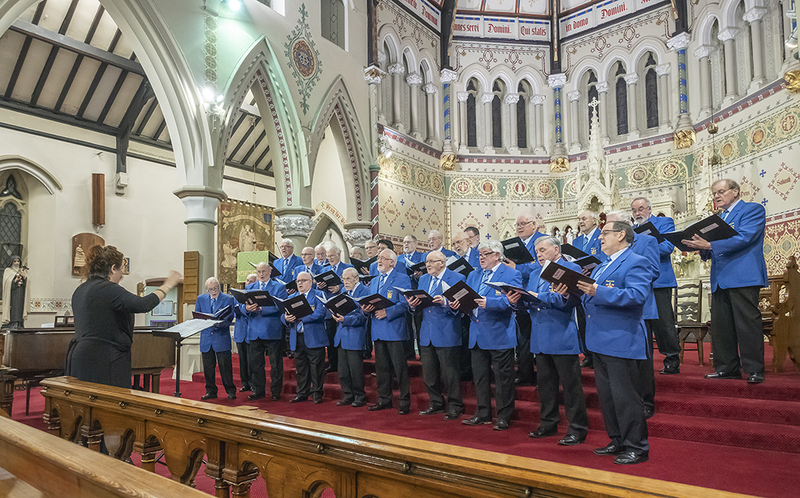 In November we joined Risca Male Voice Choir for a Concert in Ambleside Parish Church and performed for an appreciative audience on a wet and windy evening. 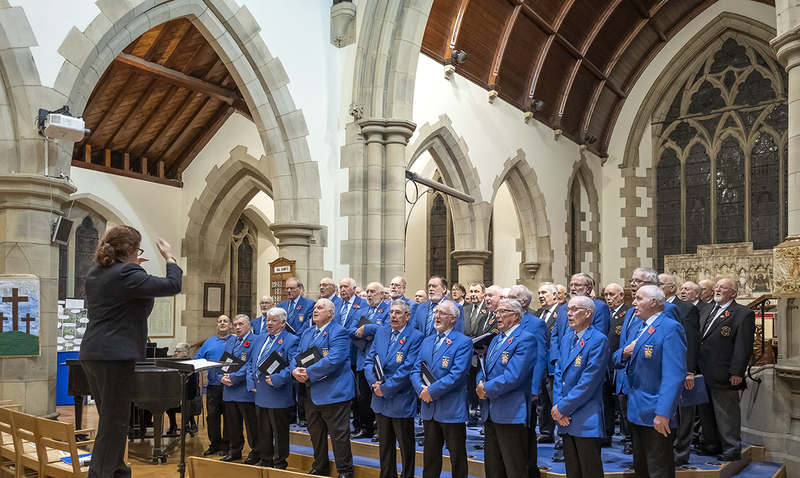 BIG THANKS to the Risca Choir for visiting us here in Cumbria, to Rotary Club of Ambleside for organising the event, to all the businesses who supportred the event by advertising in our programme and of course to our Audience. Risca and Barrow Male Voice Choirs "warming up" with Musical Director Deborah Milledge. Here the Choir are performing at Parkview Gardens Care Home in Barrow during December. On the Saturday before Christmas we performed festive songs in the Market Place and welcomed The Mayor and Mayoress of Barow, Councillor Bill and Mrs Judith McEwan to join us. 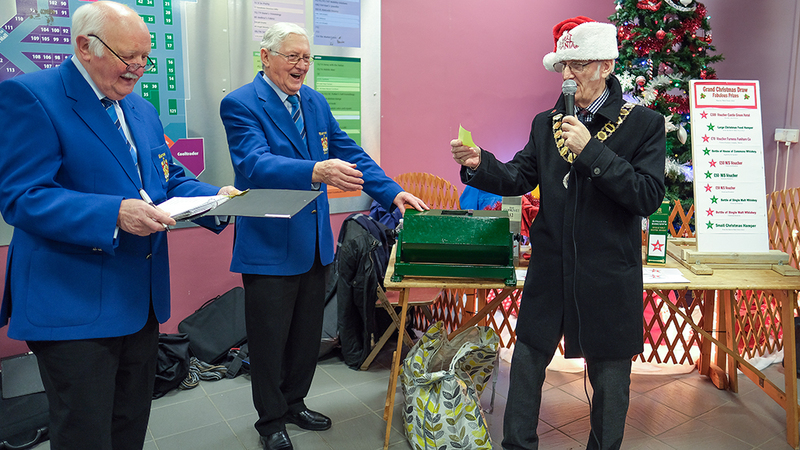 Bill kindly pulled out the winning tickets in our Grand Christmas Draw and is pictured above with Choir Chairman Keith Newby and Secretary Bernard Beckett. 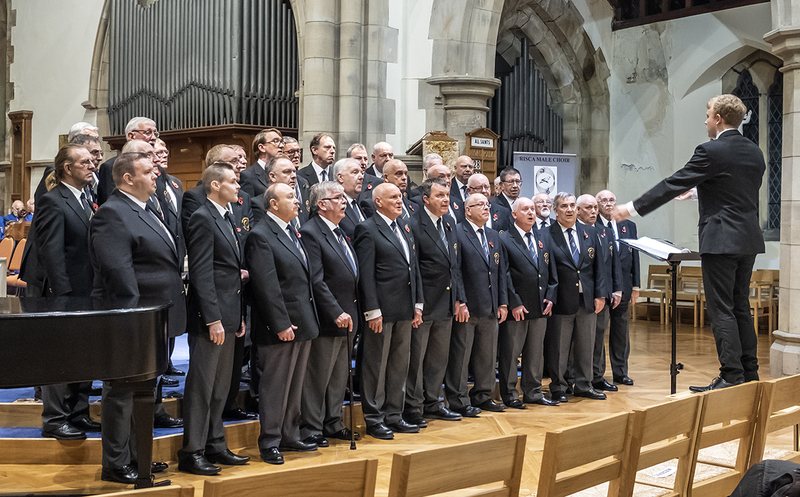 Here we are on stage with Much Wenlock Male Voice Choir during our visit to Shropshire in September 2017. All photos on this page are by Joe Rush.